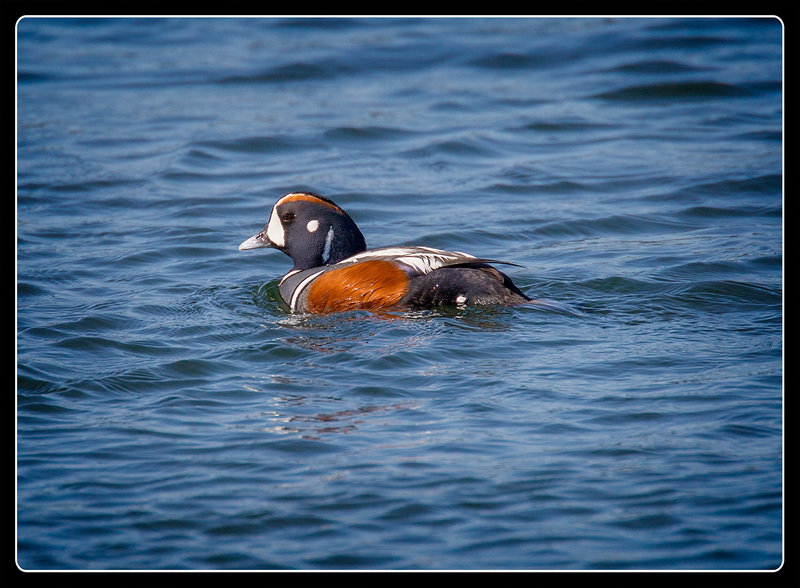 Despite being thrilled by my first ever closeup sighting of a Long-Tailed Duck, I wasn’t ready to accept the fact that the only Harlequin Ducks I had seen were far offshore, too far to even try to get a shot. So I decided to try another spot. I got distracted when I saw a pair of Red-Breasted Mergansers, but they bolted as soon as I pointed a lens at them. 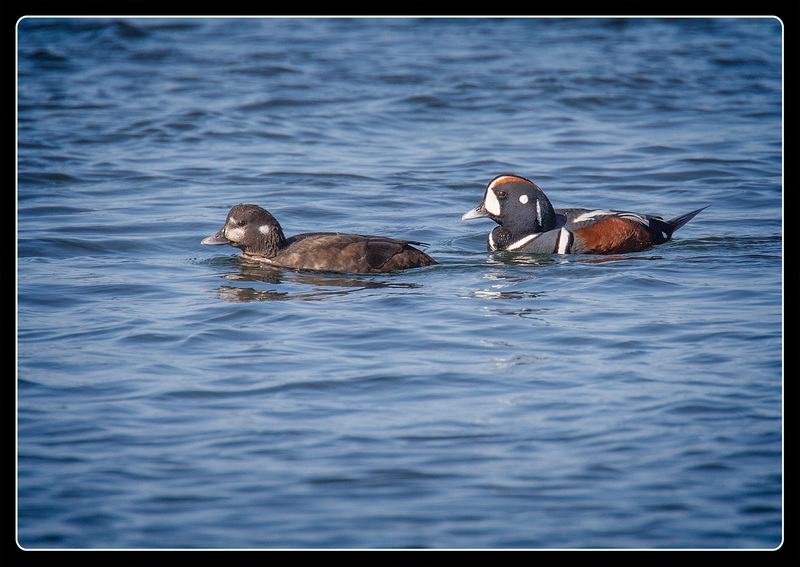 Luckily, I spotted this pair of Harlequins slowly paddling my way. 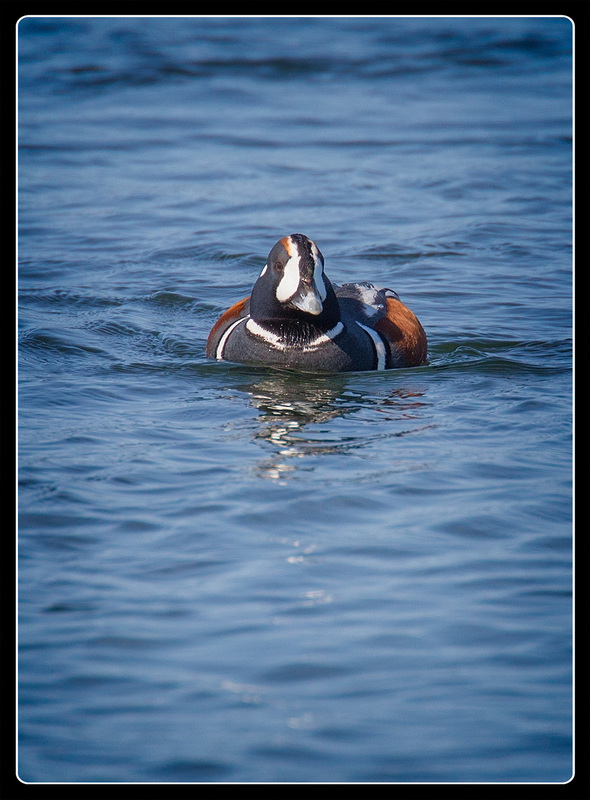 Although they kept a safe distance away, they paddled right in front of me. I could almost imagine that they recognized me from my previous visits they were so indifferent. before finally turning and edging away, all the time managing to keep an eye on me. Despite some recent snow in the mountains, I doubt these Harlequins will be here on our next visit. Most of these birds will probably have moved up to the Olympics to breed, where they will be nearly impossible to find. Such beauty is always ephemeral, as it should be. Love, love, love this group of photos! Thanks. Luckily the birds do all the work. I just sit back and enjoy.